EPS Print Solutions provides reliable, low-cost OEM and compatible products for all printing brands. When they came to us in need of a website refresh to accompany their eCommerce store, we thought a template site would be suitable for their needs. Their new website now seamlessly shows how they make their customers’ lives easier and gives them easy access to their online store. The Worship Collective is a group of worship leaders, bands, production people, speakers and musicians from all areas looking to serve local churches, camps, retreats, conferences, house worship; you name it. We loved this idea of creating a space for these professionals and were excited to make this vision come to life. Through a guided template, we were able to build a site that allowed visitors to explore local worship professionals and leave reviews with anyone they’ve worked with. We’re proud of the final result and know this website will serve as the perfect place to bring these professionals together. Chapman Design Studio was formed in 2013 by Jim Chapman 44 years after founding Jim Chapman Architects and Associates, which later grew to become Chapman Coyle Chapman Architects, Inc. With a focus on golf clubhouses and the golfing industry, Jim came to GreenMellen in need of a website to display his master planning and design work. Through our guided website development, we created a theme website to showcase Jim’s work, as well as his unique master planning process. We were delighted to work alongside Jim during this process and create a stunning website to support his work. For over 40 years, Bonner Buchanan has been crafting custom, one-of-a-kind residences with their clients’ unique tastes and lifestyle as their guide. 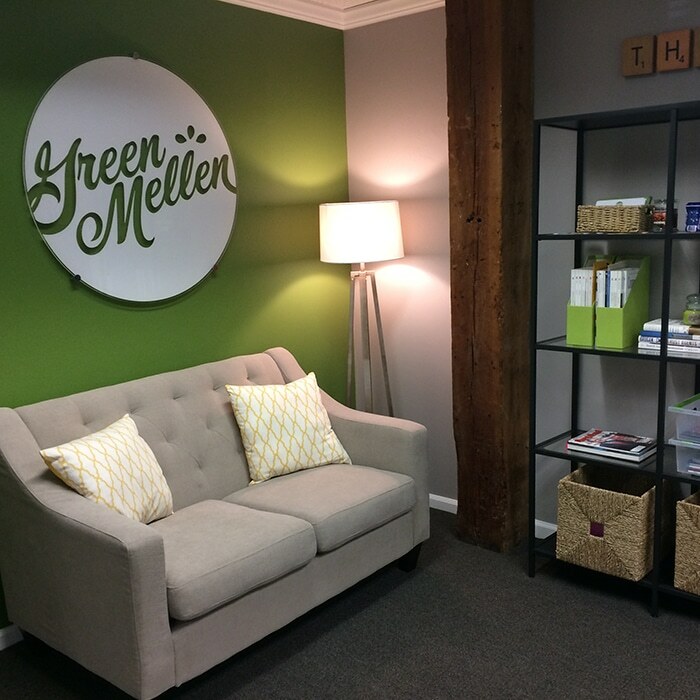 To display their impressive portfolio of work, they came to GreenMellen in need of a visually driven website, as well as a defined messaging strategy to drive the site’s messaging and branding update for their marketing collateral. After we defined their brand’s voice, tone and narrative, we created a new logo and tagline to accompany them. When designing Bonner Buchanan’s new website, we knew that their stunning work would speak for itself and developed interactive galleries to display their custom homes. Now, they have a place to send future clients and partners to see their projects firsthand, as well as cohesive branding to support their mission of building quality from the ground up. Ellis Pain Center has been treating and providing care for patients throughout Northeast Georgia since 2002. When they came to us for a refreshed website design, we also saw they needed assistance with their local SEO and content reorganization for a better user experience. The new EPC website includes an intuitive user interface and design aesthetic consistent with today’s expectations. With links to their patient portal and billing system, this new site gives them a competitive advantage on the Web. The whole EPC team was a delight to work with, and we’re very proud of the finished product! Cumberland Group is the advisory and services firm companies turn to when their technology can’t keep up with today’s demands. While their old website met today’s standards for a strong website, it wasn’t built on a strong CMS platform. 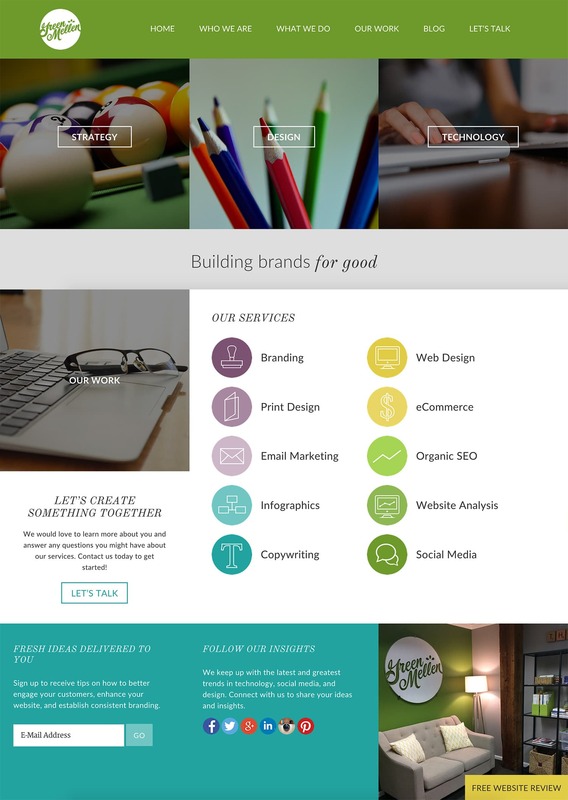 After deciding that a WordPress website would better suit their needs, they came to GreenMellen to redesign their new site. The new Cumberland website now supports their message and allows them to have full control over how they’re displayed on the Web. We were very honored to work alongside the Cumberland team to create this new website!